Whether you need to merge duplicates, import data, or simply alter your Salesforce dataset, Cloudingo can help you accomplish all your data management needs. Based on user feedback, Cloudingo continues to morph into a must-have tool for cleaning Salesforce. Check out a sample of things you can do with Cloudingo, then give it a try yourself. Find and merge duplicate records based on formal names and nicknames, such as Johnathan and John or Rebecca and Becky. Locate harder to find duplicates using a variety of non-exact matches on any object, varying the matching styles each time. 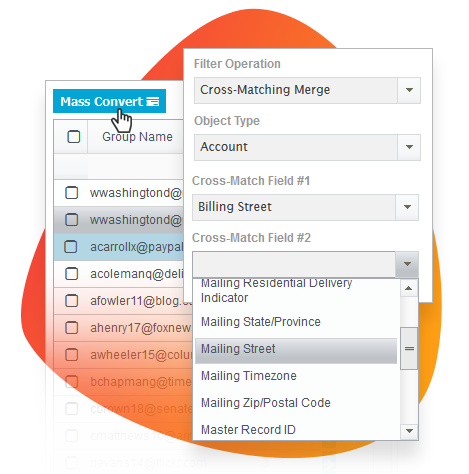 Use fuzzy matching on address fields to find matches that have variations in street fields, like Avenue vs. Ave. and Street vs St.
Use cross-field matching to match across primary and secondary email fields (or any combination of fields) to find duplicate Leads or Contacts. When a Lead and a Contact record are duplicates of each other, convert the Lead to the Contact, which will move any attached objects from the Lead to the Contact. If approval is needed from stakeholders or record owners before a merge can take place, export the results into a report to preview what the final record will look like before committing the merge. Every night schedule Cloudingo to automatically merge any duplicates that were created that day based on exact matches, like name and email. Compare data in spreadsheets against data already in Salesforce, even if no Salesforce IDs are given in the file. Update existing records, only create new unique records, or both. 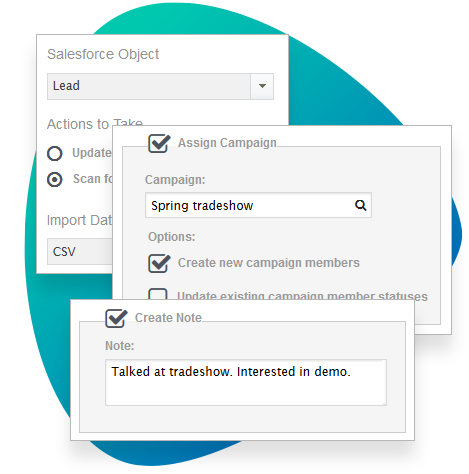 Opt-in and assign prospects to a Salesforce campaign who’d previously opted out of communications but recently wished to reengage at a tradeshow or other event. Mass transfer account ownership (for example, when reassigning territories) for any subset of records while keeping all associated contacts, opportunities, and tasks intact. 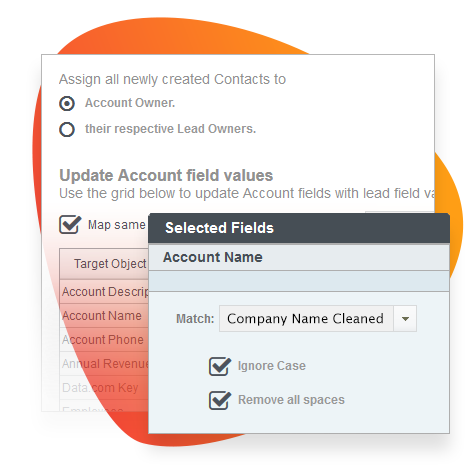 Mass convert Leads to new Contact records and associate them to corresponding Accounts. Assign leads that were created within the past 30 days and that have a status of “Open” to a specific Salesforce campaign. Mass delete records that are no longer relevant, like those that lack a valid email address or phone number, and those with “@test” as the email domain. Update a field value for a group of records with one click, like product types, Lead Source, etc. Modify a subset of records that belong to a specific record owner. Update fields that are blank in Salesforce using data from a .csv file or choose to override existing field values. Change or update field values using the value from another field. For example, if the email opt-out is deselected, then update “newsletter subscription” to true. Copy the Account phone number and address onto all associated Contacts that have a blank phone and address field (or any other relevant field). If leads have the same company name but different addresses, update the addresses for consistency. Use any Salesforce report to perform updates and deletes. Standardize state and country fields to only include their abbreviations, like TX for Texas or CA for Canada. 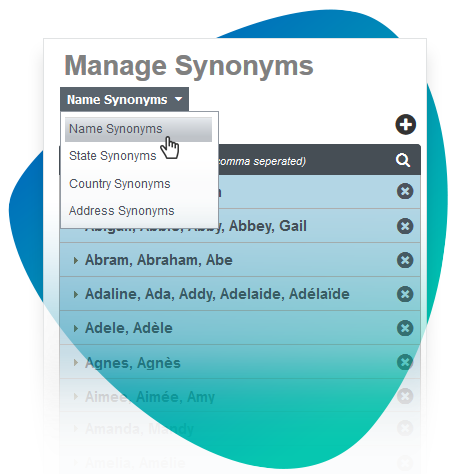 Run a nightly job to automatically standardize capitalizations of first, last, and company names to title case. Do the same for street names. Ensure all parent and child records have the same account name. For example, if the parent account is labeled New York University, change all child records labeled NYU to New York University. Integrate and sync outside data sources, such as accounting platforms and ERPs, with Salesforce. Create new Salesforce records or update existing Salesforce records with data from other data warehouses. Migrate records from another CRM or legacy platform to Salesforce. 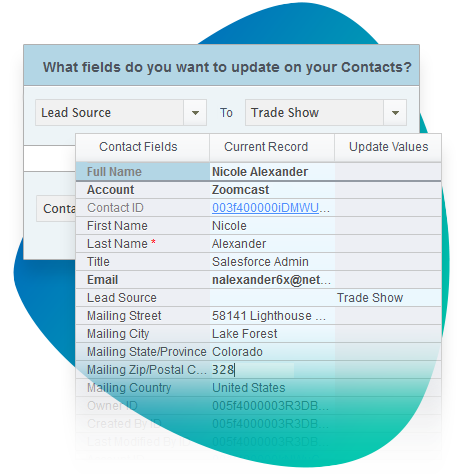 Create new Salesforce records when needed and update existing Salesforce records with information from the source data file. 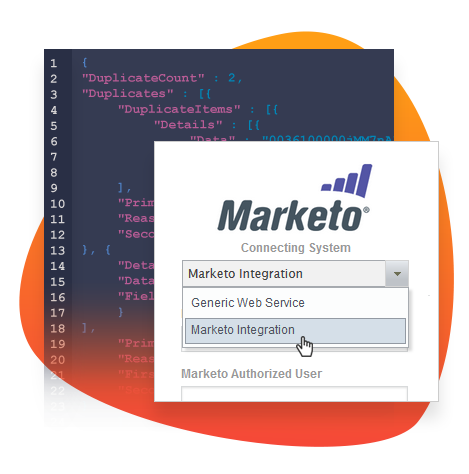 Prevent Marketo from creating duplicate records in Salesforce, keeping the two systems aligned and have a more streamlined marketing automation system.